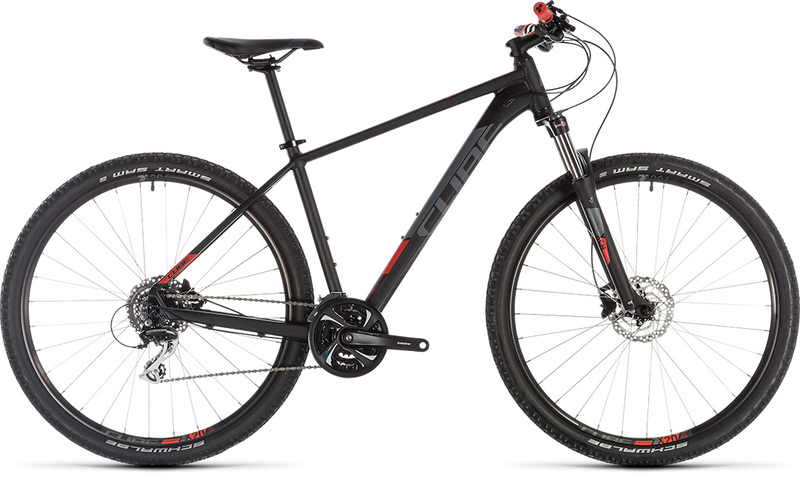 When your mountain biking ambitions begin to reach a little further afield, you’ll need a bike that’s up to the task. That’s where the Aim Race comes in – a reliable, well-equipped trail companion that won’t let you down, even as your skills and confidence grow. With redesigned rack and mudguard mounting points for 2019, it’s also incredibly versatile and easy to set up for the weekday commute or a longer tour. A remote lockout Suntour suspension fork, powerful Shimano hydraulic disc brakes, 24 speed transmission are all topped off with our Size Split frame packed full of the same attention to detail that we lavish on our high end bikes. There’s an Aim Race that’s the perfect fit for you, so what are you waiting for?